Have you injured another person in an auto accident, with the result that he or she passed away? If you are accused of causing the death of another person while committing a DUI, you may be charged with vehicular homicide. Vehicular homicide is a Class A, B, or C felony under Tennessee state law. Vehicular homicide is an incident that ends with a victim getting fatally injured and involves a driver who committed a DUI, creating a substantial risk of death or bodily injury or engaged in illegal drag racing. A vehicular homicide can be accidental or intentional. You can determine what to do if you are charged with this offense by talking with an experienced criminal defense attorney. What is the Penalty for Vehicular Homicide? In Tennessee, the vehicular homicide that involves a DUI is a Class B felony punishable by 8 months to 30 years of imprisonment. Penalties include revocation of your license for 3 to 10 years with no restricted license available and a fine up to $25,000. You may also see additional fallout such as job loss, negative effects on an active divorce or child custody case, revocation of a professional license and loss of a security clearance. Vehicular homicide is defined as the death of a party caused by an individual engaged in a DUI operating a car, plane, boat or another vehicle with a .08 or more Blood Alcohol Concentration (BAC). 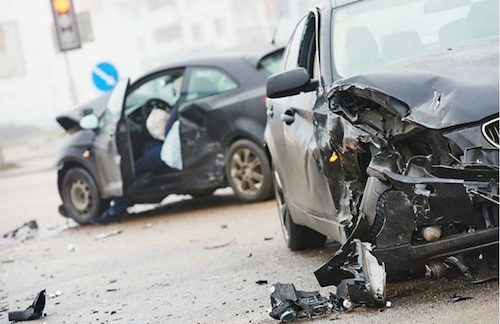 Vehicular homicide may also be a death caused by a party operating a vehicle and creating a substantial risk of death or bodily injury, or illegally drag racing. A non-DUI-related vehicular homicide is a Class C felony. There are higher penalties for aggravated vehicular homicide, which is a Class A felony. Aggravated vehicular homicide is defined as a death caused by an individual with two or more DUI or vehicular assault convictions, or one prior vehicular homicide conviction, or an individual with a 0.2 or more BAC and one prior DUI or vehicular assault. Have you been charged with vehicular homicide in Nashville, Tennessee? If so, contact criminal defense attorney Bernie McEvoy. He has represented hundreds of clients facing this charge and related charges, such as DUI. Call our office at (615) 255-9595 for a consultation of your vehicular homicide case today.